THE TORONTO DON VALLEY HOTEL & SUITES is a 353 room full service hotel located in Toronto. Situated along the winding Don Valley Ravine, it is located 15 minutes from Downtown Toronto and the New Metro Toronto Convention Centre and 30 minutes from any of Toronto’s three airports. The hotel is also minutes from the Ontario Science Centre. Major renovations to the hotel were completed in mid-1999. Renovations included upgrades of all guest rooms including new furniture and fixtures, public areas, as well as mechanical, electrical and structural upgrades. The cost of the renovations totalled approximately $8,500,000. In 2010/2011, the hotel again underwent another renovation to public areas and guest rooms. The hotel offers 17 meeting rooms comprising in excess of 16,000 square feet of meeting space which can accommodate meetings from 5 to 700 people. Food and beverage facilities include Garden Cafe and the DV Bar | Bistro, all operated by the hotel. 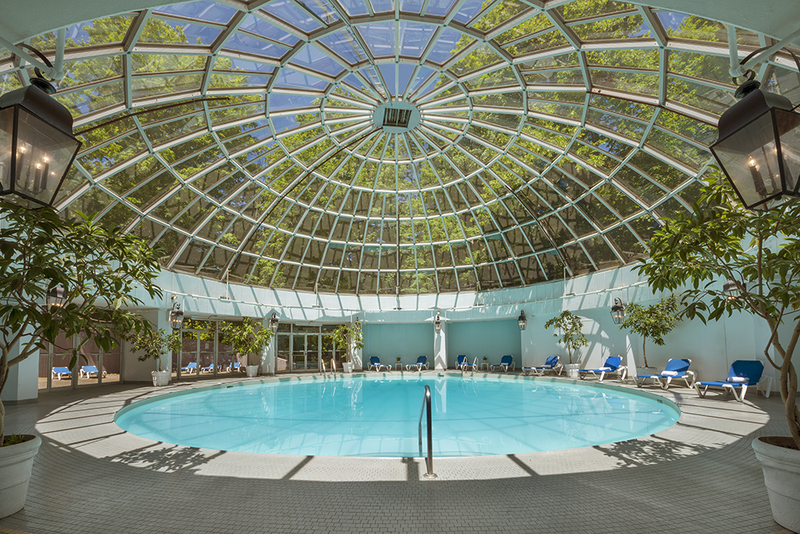 The hotel also has a comprehensive health club providing state of the art exercise equipment, a whirlpool, saunas, steam rooms, together with both indoor and outdoor swimming pools. There is a total of 420 parking spaces for the hotel.